As cold weather begins tightening its icy grip on the Montreal region, local animal rights groups are again offering straw-lined, insulated shelters that people can place on their property so homeless cats can keep warm. "[It's] showing a little humanity and compassion for a living creature that is really a domestic animal," said Shelley Schecter, founder of Educhat, an organization that traps and sterilizes homeless cats. Socialized cats that are trapped and treated are put up for adoption, while those that can't be tamed are released. 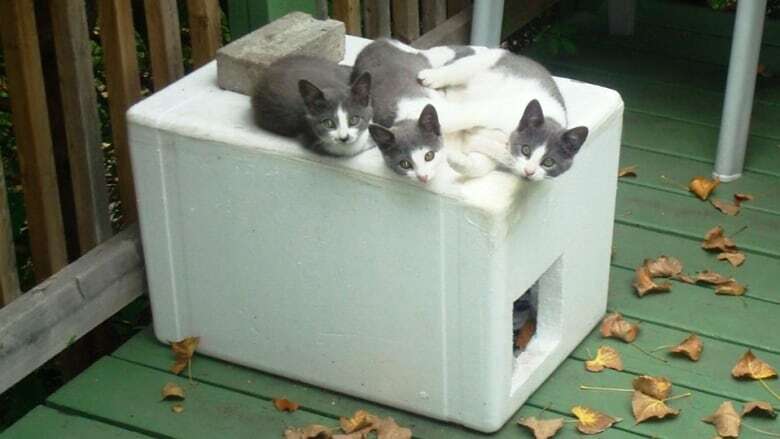 The charity also offers insulated shelters made out of foam boxes that serve as winter homes for street cats. Without a warm place to wait out the cold weather, cats will likely freeze to death, she said. Educhat, which serves Montreal and the surrounding areas, asks for people to cover the material costs and make a small donation to the organization in return for the box. Last year, Educhat produced 150 of these temporary shelters. This year, she said the group aims to make 90, fabricating more as needed. People all too often allow their cats to wander around without them being spayed or neutered, Schecter said. When people abandon their pets altogether, the existing population of homeless cats continues to expand. An unspayed female can have three litters of at least four kittens a year. 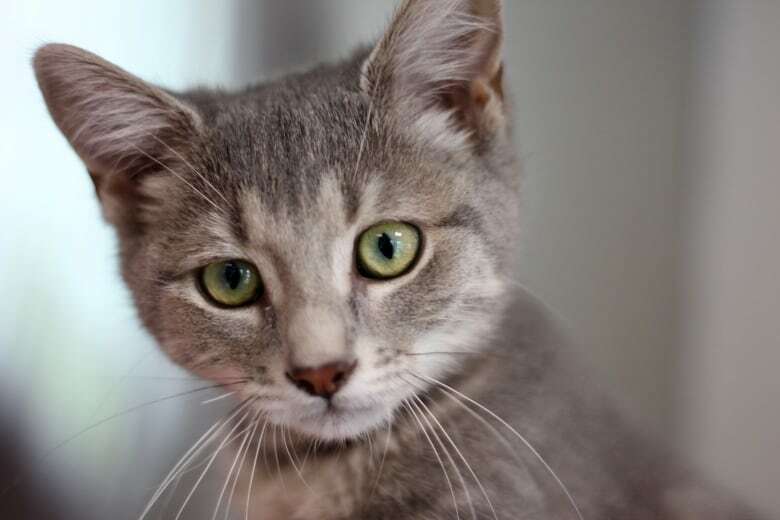 That means, after four years, more than 20,000 cats may descend from the original mother cat, according to the Montreal SPCA, which also operates Trap-Neuter-Release-Maintain (TNRM) program in partnership with 18 Montreal municipalities. 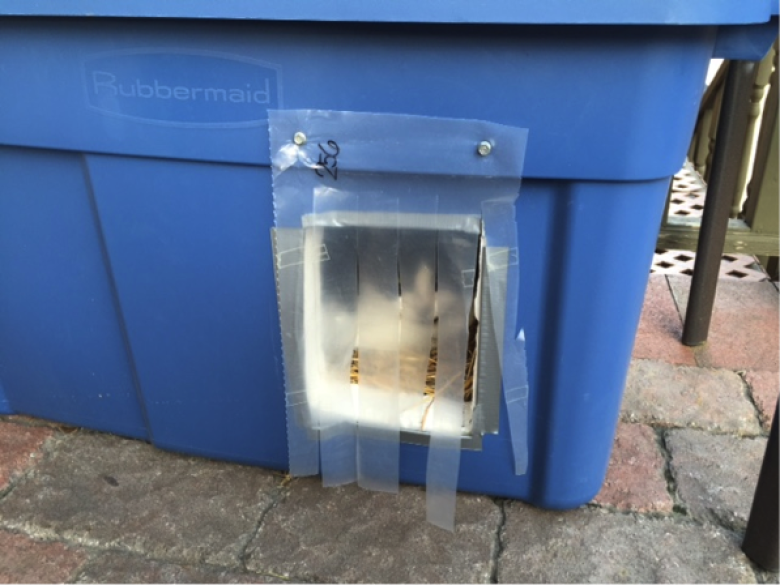 Côte Saint-Luc is among those municipalities offering a similar TNRM program through a city-backed organization that has a range of other services, including the annual distribution of dozens of custom-made cat shelters. The Côte Saint-Luc Cats Committee offers shelters mostly to people who feed homeless cats on their property. More and more people have been using the shelters, according to Coun. Mike Cohen, the councillor responsible for animal protection. "We are very fortunate. There are a lot of good Samaritans," Cohen said. The cats will survive extreme cold in the shelter, he said, and some people have several set up on their property. Montreal has a stray cat problem, but does either municipal party care?